Published by Antoine Turmel on January 15, 2013 in News. 2 Comments Tags: 1.12, bot, branch, build, buildbot, builds, features, github, linux, nightingale, nightlies, nightly, osx, sb-trunk-oldxul, scripts, songbird, trunk, windows. Since the beginning, there were Songbird nightlies available to test out new features and develop add-ons for future versions. There were both branch and trunk builds released each day – later they decided to only provide trunk builds. As of now they seem to build branch builds again for version 2.1.0. Nightingale’s case is particular, we didn’t have build servers like POTI does when starting the project. Fortunately, we are now setting up buildbots to compile and upload nightly builds every day, if there are changes in the source code. For now we are only building the sb-trunk-oldxul branch which is version 1.12 but matches Songbird trunk (2.2). We chose to rename to version to “1.12” mostly because there are no major changes between the Songbird trunk (2.2) and 1.11 since POTI is mostly bumping up the version numbers for their closed-source work. Whether you’re a developer wanting to build the next generation of add-ons or a user not afraid of the freshest and sometimes very unstable changes, Grab a Nightly Build and let us know what you think! Merry Christmas from (and to) The Nightingale Team! Published by ilikenwf on December 27, 2012 in Core and News. 11 Comments Tags: 1.12, mac, nightingale, osx, progress, taglib, xulrunner. 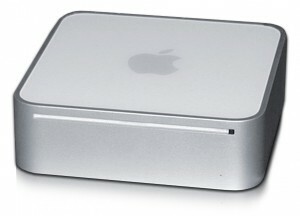 I recently purchased an old 2006-era Mac Mini for our development, so that I could make sure and get a more proper Mac build out for our next release. I’m happy to say that after setting up the build environment (and reinstalling OSX once the machine arrived, as I trust no eBay seller to do that part for me), I have most of the Nightingale build dependencies built fresh. I’m still fighting with XULRunner to get it to build under OS X. That said, I did compile the new TagLib, so I was able to cobble together a current trunk build for all 5 of our Mac users out there (j/k, we have at least 7 Mac users :P). You can download the testing build here. I’d love to hear of any issues you run into, as I’m using a different compiler – the vanilla gcc 4.7 – to build the dependencies and client this time around. It should provide for smaller, faster, more efficient code. In other news, the team and I are all working hard to get the polish all together for a 1.12 release here at the beginning of January. Short of fighting to get the FLAC albumart display working, we have a lot of great changes, as well as more stability across all our platforms. On Linux especially, we have more system integration, and only have to rely on XULRunner and SQLite as precompiled dependencies. The release after next should do away with those altogether. New Year’s Parties – Use Nightingale, Tell Friends! We hope you had a Merry Christmas, and happy holidays all around. Furthermore, we all wish you a very happy New Year! Make sure to use Nightingale to play the music at your New Year’s parties, and show it off to your friends! Our resolution is to make Nightingale the best desktop music player out there, and to have more people use it as well. We can’t do that without your help, so please, make sure to help us get the word out! Feel free to talk about the player, discuss the Mac build, or even just let us know your New Year’s resolutions in the comments, jump into the forums, or chat with us in #nightingale on irc.mozilla.org.